Recently Rand Fishkin, co-founder of Moz & now Sparktoro gave an SEO talk where he went over what he believes to be the future of Google and search in general. Today, Liz & Sandro go over that talk and ask, is Google evil? You can view the 30-minute talk here. Liz: [00:00:04] Welcome back to Liz and Sandro’s Marketing Podcast. We are the podcast that gives you tips tricks and insight on social media, websites, SEO, reputation management and so much more. Today Sandro is going to be discussing a question that more and more people are asking Is Google evil? Sandro: [00:00:21] Thanks Liz. Recently a guy we love to talk about Rand Fishkin gave a 30 minute presentation at Brighton SEO one of the biggest annual SEO events with a lot of people. Rand is a co-founder of Moz, which is one of the big names in SEO and he has a new startup called Sparktoro which, what it’s purpose is we still don’t know it’s secret, under wraps. Sandro: [00:00:43] But he has been blogging from there. So the 30 minute presentation is available on YouTube and we’ll link to it. But I believe it’s pretty important and might even use the word seminal to describe it. Sandro: [00:00:58] Yeah. I looked at the definition of seminal just to see its precise definition and it says a work event or moment strongly influencing later developments. And I believe this will affect what many SEOs and web designers and builders will do in the future. Maybe not right away but it will definitely begin to affect us. It’s that important. So I’d recommend you check it out. So we’re going to talk about it here. I will discuss it here. Sandro: [00:01:24] Currently I’m in the middle of reading Rand’s book and he’s always been one to ask questions and look in places a company may not want him to. He’s spoken about how Google has asked him not to look at certain things or stop looking in certain things or publish things that he’s found. Things that he wasn’t supposed to see or notice or know in terms of Google and how it works. And I love that about him. So I believe his research and I love where he’s going with all this. And basically he doesn’t say it or ask it but he’s asking Is Google evil? When Did Google Begin Turning Evil? Sandro: [00:01:55] Basically he said he didn’t always believed they were. He had a friend that always has always believed they were evil but that opinion is beginning to change for him it seems. And here’s why. He talks about a study in 2012/2013 where Google and Bing swapped out results, search results but they kept the logo of Bing and Google at the top. No matter how different or off the results seemed to be, if it had the Google logo people preferred it. And he thinks it’s about this time that Google decides to slowly make the turn to evil. If this was a movie they’d be in a chair with their fingers tapping on one another. Sandro: [00:02:36] People stroking their beard and he brings up a chart that he provided in the past showing something happened in October 2017. For the first time the number of clicks going out of Google to other sites just drops dramatically and stays down there. It’s here that instant answers and knowledge panels really kick in especially on mobile. Sandro: [00:03:00] He shows percentages of pages for organic results and the numbers are crazy. So on desktop paid if you look at a search result page on a desktop the paid results are 3.82% of the page. Organic is 66% of the page and the no-click answers or the knowledge panel or the answers are 35% of the page. On mobile though that number jumps to 61% is no-click it’s just it’s the answer to your question on a page so you don’t even need to go and click through anymore, unfortunately. He also points out that used to be like even one year ago, you’d get 20 clicks on a search word for every paid click. Now it’s down to 15 clicks for every paid click. So he basically points out there’s less and less clicks. We’ve talked about that here before. Liz: [00:03:54] Yeah we’ve done a good we’ve mentioned we’ve done one episode and we’ve mentioned it a couple more times. Sandro: [00:03:59] On no-click searches. Liz: [00:04:01] Yeah. We’re I think we’re starting to really see the effects of it. Sandro: [00:04:04] And he gives example after example on this everything from google maps. He shows they’re are no longer showing the website button when you’re searching. Rand was doing this talk in Brighton in England and he loves Indian food and I’ve always heard this before. The best Indian food on the planet is in London. And so he’s looking up London restaurants for Indian food and they’re not even showing the website button on many search results. They’re just giving you the information where you find it. How to get there, their hours, their menu. Because everything you needs is on Google. Sandro: [00:04:44] He points out Google flights. Even if you search Japan Airlines in your search query San Francisco to Tokyo, Google comes up at the top Their Google Flights will come up before you can see a link to Japan Airlines way down at the bottom of the page or near the middle of the page. Liz: [00:04:54] So it’s funny as you’re as you’re talking I’m going to google maps right now and I’ve searched for Italian restaurants and I’m like you know what you’re right. I’ve I as I’ve been looking for where I might want to go to eat and pulling up restaurants in google maps, I have struggled to find the website and I’m looking at the four options and it’s directions, call, save, or share the place. Website used to be one of those four main options and it’s not anymore. That’s probably why I’ve been frustrated. Liz: [00:05:25] Oh you know what it was, it’s coming back to me. Because when I when we were planning our trip to Australia we wanted to have some restaurants or I wanted to have some restaurants saved in a Google map. And that way if you know where we’re out and about and we’re hungry I you know I looked at the menu ahead of time and I knew that this was a good. Sandro: [00:05:47] These sere Liz approved. Liz: [00:05:48] Yes Liz approved restaurants and it was very difficult. I had to I couldn’t do it on my phone I had to go to my desktop and right click and you know tracked down the website. And like getting to the website on my phone was proving to be difficult. So I went to my computer and a little more digging in the Google Maps listing I could pull up like go to the actual site, pull up the menu, look at it in detail and then I would save it to you know my Australia map. Yeah. Sandro: [00:06:22] Again Google doesn’t want you leaving apparently. You know video. What do they want you to look at every time? Liz: [00:06:30] But I am seeing it lately within the last year or so. I don’t feel like videos are are coming up as much in search results on that first page. So I don’t know if they’re kind of retooling things behind the scenes and we’re going to see a resurgence of that. But I’ve I’ve noticed you know when I’m going to Google something, I have in my mind I just want to watch a video on it and I actually have to click instead of the “all results” tab I click over to “video.” Yeah. Sandro: [00:07:04] He gave the example of a recipe for an Indian dish. And he typed in the word video in the search. So videos showed up. So I get what you’re saying. I guess he’s he’s putting out if you’re searching for video then it’s all YouTube. And he showed one result. Number eight linked to a Web site that had a Google embed on there. But even they’re not showing you Web sites to leave YouTube they want you to go to youtube. Even if the Youtube video is embedded on your site. They’re deprecating that down lower. Sandro: [00:07:36] Hotels Of course you’re not going to see anything but Google. Sandro: [00:07:39] Sports figures in sports scores. He’s flummoxed at the fact that the NFL & MLB would allow Google to show scores without showing even one click to MLB.Com or something you know, where they can show an ad. Liz: [00:07:54] Well, & it’s delayed. I was trying to keep up with the Indians. Sandro: [00:07:59] The MLB site’s delayed? Liz: [00:08:00] No Google. Let me clarify so you know we had tickets to the Indians game which they got swept so I couldn’t go to the game. But Google recognized that I had been searching the Cleveland Indians and it started doing a little notification like it’s you know the bottom of the first Astro’s are up one to nothing or whatever. And I told my husband I’m like Google’s giving me updates and he was like Yeah but they’re delayed they’re not real time as like the MLB would be. Sandro: [00:08:29] Side note quick my friend Jeff, shot out Jeff, has YouTube TV. So that’s where you watch as we watch the football game the Browns. Cleveland yay. And the game they won with a last second field goal in overtime I saw on Twitter the answer if he made the field we’ll before we got to see it on YouTube video. Live video. So maybe that’s a contract thing. I don’t know. Liz: [00:08:52] Or just their feed is delayed because they’re pulling. They’re pulling info from MLB or NFL and yeah probably just takes a couple seconds. Sandro: [00:09:02] So famous people are also you’re seeing things about famous people before you go to their website as a famous person has their own website. He gave the example if you wanted to watch Luke Cage you would Google Luke Cage and had to scroll down six times on a phone to finally get the link to go watch Luke Cage he learned everything about Luke Cage you saw the trailer on YouTube. You saw who starred in its past seasons, reviews for it. And it took six scrolls to finally get to the link to watch Luke Cage on Netflix. So is that giving people the answer to what they want they want to watch Luke Cage? Sandro: [00:09:37] Yeah events, they have their Google events now. Jobs, they’re not showing anything but they’re showing you their jobs. And he points out Google used to have two users: content creators and searchers. And now it seems like Google, their only user is people searching. He calls it a Trojan horse. Google is allowed to scrape all your data. They use your bandwidth that you’re paying for. They come by, they take it without any copyright violations at least in the United States. And they can index it and they can use it themselves. He calls it a Trojan horse. Sandro: [00:10:13] You know Google’s making a big deal about best blank. So best dinosaurs you can look that up. And you can look at best SUV. Best boats. Anything in Google’s ranking that now he believes Google wants to be 1996 AOL. Which has just stay in AOL. Don’t leave AOL. Just stay in there. And he’s pointing out that even other sites are doing it. And we talked about this before the show. Twitter is biased. They’re showing more tweets without links to leave Twitter. Facebook, LinkedIn & Twitter Also Evil? Sandro: [00:10:41] LinkedIn doing the same thing apparently so they want you to type everything into LinkedIn so people don’t leave LinkedIn. And even Reddit is doing it. So he believes it’s never been more difficult to earn organic traffic from the Web. And he talks about Facebook of course. Facebook started. I remember these days they would tell small businesses hey we’ll share your content if you just promote us so small businesses would say hey you like our page you get 10 percent off or something. It feels like forever ago but it was only like eight or nine years ago. So they promised small businesses we’ll show off your stuff and then of course what happened? Liz: [00:11:13] Organic reaches 1% now. How do you fix this? Is SEO Still a Thing? Sandro: [00:11:18] Yeah. They want you to pay for that reach. So this is the future of how these big players are going to operate. They’ll lure you in with the promise of exposing your content. But then they’ll just cut it off and keep it all for themselves. So he gives some answers. How do you fix this? And he says he still believes in SEO. It’s still a thing. Sandro: [00:11:38] Even if, yes, even if you cut 50% of all traffic, if you go back to 2012 levels it’s still sending a lot of traffic out. So we’re not there yet. It may get there but he’s still a big believer in it. And he believes the people that are in on SEO now will be ahead of their competition because it’s just going to get harder and harder. Sandro: [00:11:59] So just start building that base now. He believes in keyword research. Shifting content from Google that’s less likely to capitalize. So you can use Moz or other things and they have tools that show you “most likely to be clicked on this keyword.” Instead start maybe going for those types of keywords. Sandro: [00:12:16] And he really stresses the fact that the two things and I gave a talk earlier last week to African-American Small Business Owners Association here in town. The two things you want to own are the two things you need to build up: your Web site and your e-mail list. Those are the two things you will ever own. You won’t own your LinkedIn page you don’t own your Twitter account you don’t own your Facebook. Those can be pulled at any time. You do own your email list and your web website. And should just keep building those things. Sandro: [00:12:43] And finally he says he hates this, but Google’s making the rules let’s start playing by them. 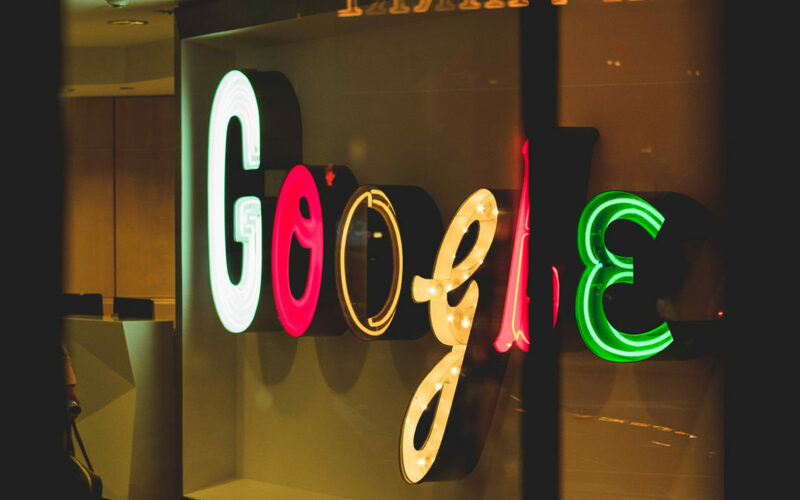 If Google says they’re biased towards Google Posts on Google My Business the start working with Google Posts. If they start telling you to go in and manage your Google Maps, start going in and managing your google maps. They love youtube then just start posting things on YouTube. He hates that but you might as well get as many clicks as you can from Google right now before they start taking more and more away. Sandro: [00:13:11] And finally he says you should double down on your branded content. So if you, the name of your company Hersh PR, just make sure you own that because Google can never take that away from you. You will always if I want to know what Hersh PR is up to. I will have to go to Hersh PR. So build up your brand. And I love that he’s doing that with his new company Sparktoro. I go to his site to read his blog because he’s such a good thought leader on things. I want to go there. Google will never show me well at least at this point will never show me his blog. I actually have to go to his Web site to read his blog. Sandro: [00:13:41]And he’s believing, don’t put out, stop saying blog twice a month or something. Blog whenever you have something really important to say so people will be waiting for you to put it out there and they’ll know it’s good every time. So don’t just blog for the sake of blogging. Blog so people can anticipate and know that your stuff is awesome and they can’t wait to see it. Liz: [00:14:02] Yeah and that’s actually going back a couple of years to one of his Whiteboard Friday episode. I think it’s Whiteboard Friday. This is back when he was with Moz. If you’ve never seen one of his Whiteboard videos they are awesome. I highly recommend it. One of the ones that stands out to me is he did one something to the effect of creating, actually creating valuable, meaningful, content that can rank that can really position you as as an industry expert. And yeah this is not just Oh let’s let’s blog twice a month on these keywords. And let’s write, yeah let’s write some decent content. Like no, he he took it to another level. That was a really eye opening video when I first watched a couple of years ago. Sandro: [00:14:49] I know one of our favorite people kind of joking, Neil Patel he just looks at things that rank and he reads them and then he makes them longer and key word stuffs them even more just to rank even higher. That’s something he admits to. He’ll look at a great ranking blog post & he’ll write a longer one, add more words. And then he’ll start ranking higher than them. Maybe that’s not the way to go anymore. Liz: [00:15:12] Probably not. Probably not. Sandro: [00:15:14] So is Google evil? Probably. Liz: [00:15:17] Yeah. Probably. So and then we should also mention for those of you who who don’t know, one of Google’s longtime code of ethics bullet points if that’s what you want to call it, was what was it don’t. Sandro: [00:15:33] Don’t be evil. It still is. It’s still in every Employee handbook. Yeah. It used to be at the top of the handbook but now they moved it to the very end. Liz: [00:15:41] That only happened a couple of months ago. So. Sandro: [00:15:44] By the way a quick side note in terms of doing stuff that Google wants you to do one thing you will not be doing from here on out is Google Plus. Liz: [00:15:55] So do I think Google is evil. Yeah probably. But you know you know you could say the same thing about Facebook or Twitter or Instagram so. Sandro: [00:16:05] Just trying to please their shareholders. So that’s all I’ve got. Liz: [00:16:09] I love it. I have not watched the full video yet. You have sent it to me I should sit down and dig into some of this data because I know it’s really good. But yeah that wraps up today’s episode. If you have any questions comments we would love to hear from you. You can find us on Facebook, Twitter, Instagram. You can also find us at the Marketing Podcast dot net. Listen to us on your favorite podcast app. We are on iTunes, Google Podcast and now Spotify. Don’t forget about Spotify. Leave us a review we’d love to hear from you and we will see you next time.